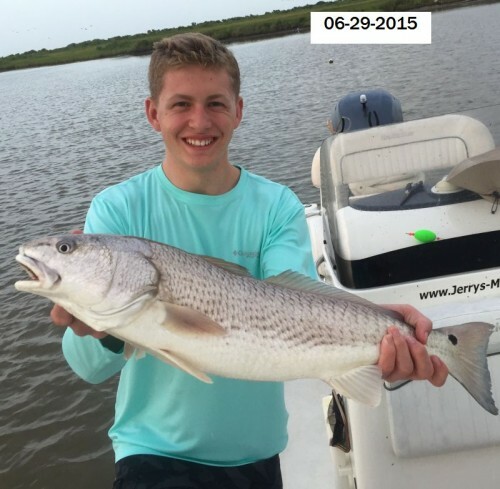 June 30, 2015 Alex T. & Son Adam, & Grandpa Have a Nice Trout Day on Lake Calcasieu with Captain Tommy!!! 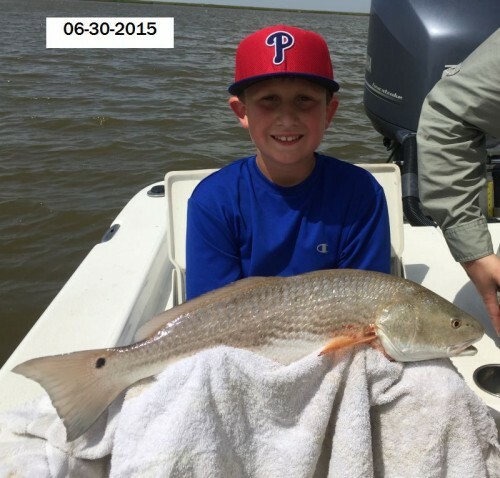 June 30, 2015 Alex T. & Son Adam, & Grandpa Have a Nice Trout Day on Lake Calcasieu with Captain Tommy! 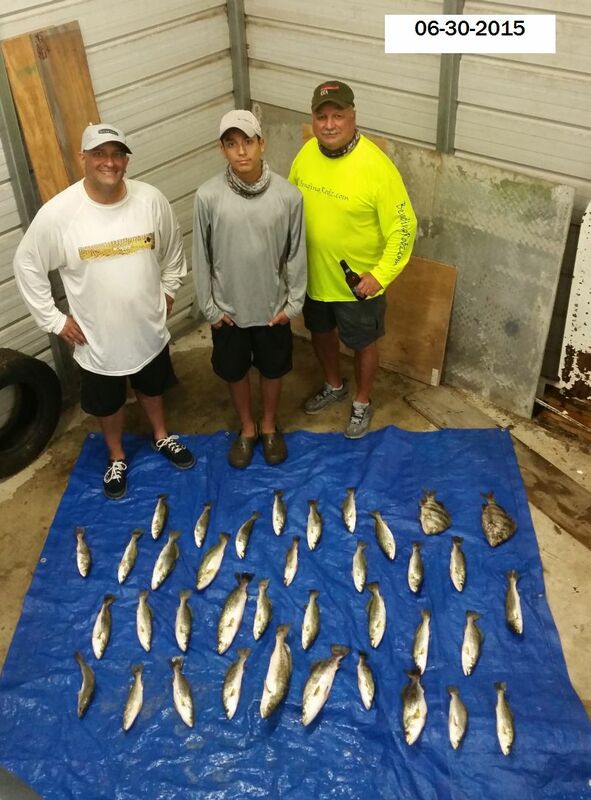 June 30, 2015 Howard L. Kirt, Darren, & Brady Get Chased around By Storms But still had a great Day with Captain Tom on Lake Calcasieu!!! 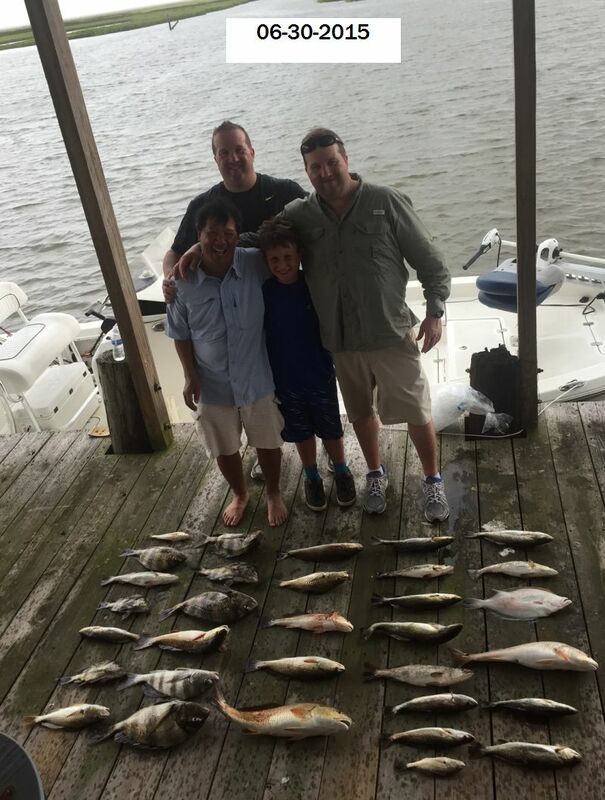 , 2015 Howard L. Kirt, Darren, & Brady Get Chased around By Storms But still had a great Day with Captain Tom on Lake Calcasieu!! 9 Year Old Brady Caught the Most and Biggest Fish of the day!!! June 29, 2015 Paul B. & Family Have an Incredible Family Outing on Lake Calcasieu with Captain Tommy!!! June 29, 2015 Paul B. 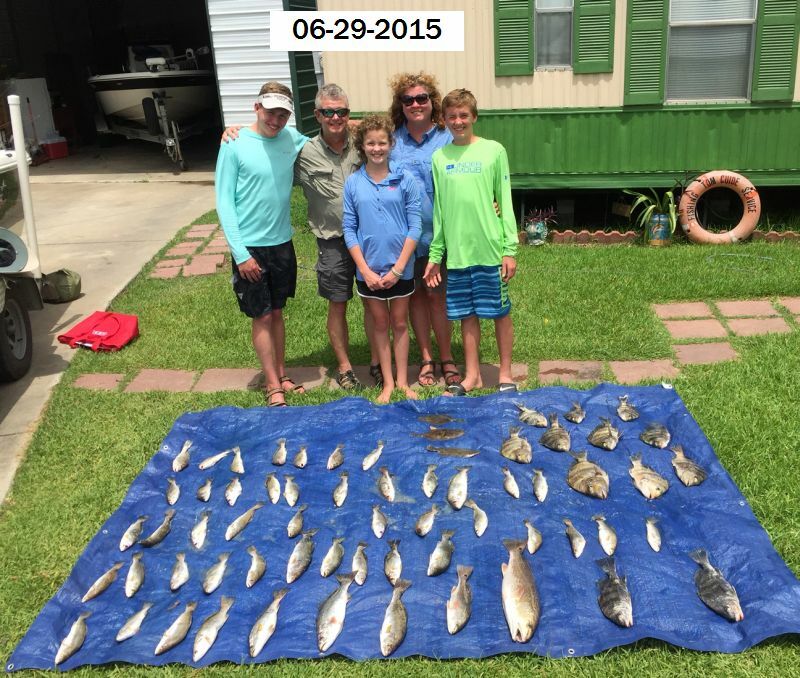 & Family Have an Incredible Family Outing on Lake Calcasieu with Captain Tommy!! Plus Son Miller caught this nice 8 # red!!! 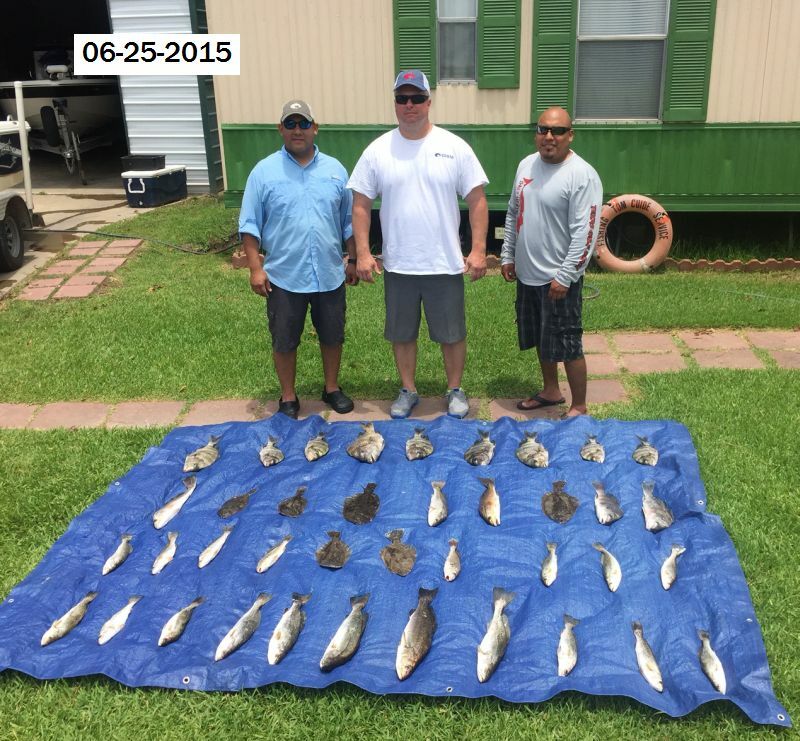 June 27, 2015 Tommy S., Robert, Roger & Dean from Del Rio. Faced 20 MPH winds and Still Put a Nice Mess Of Lake Calcasieu’s Finest in The Box!!! June 27, 2015 Tommy S., Robert, Roger & Dean from Del Rio. Faced 20 MPH winds and Still Put a Nice Mess Of Lake Calcasieu’s Finest in The Box!! 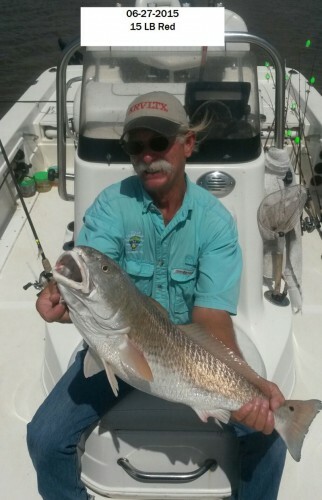 It was Robert’s Turn for Big Fish with this nice 15 pound Red!!! 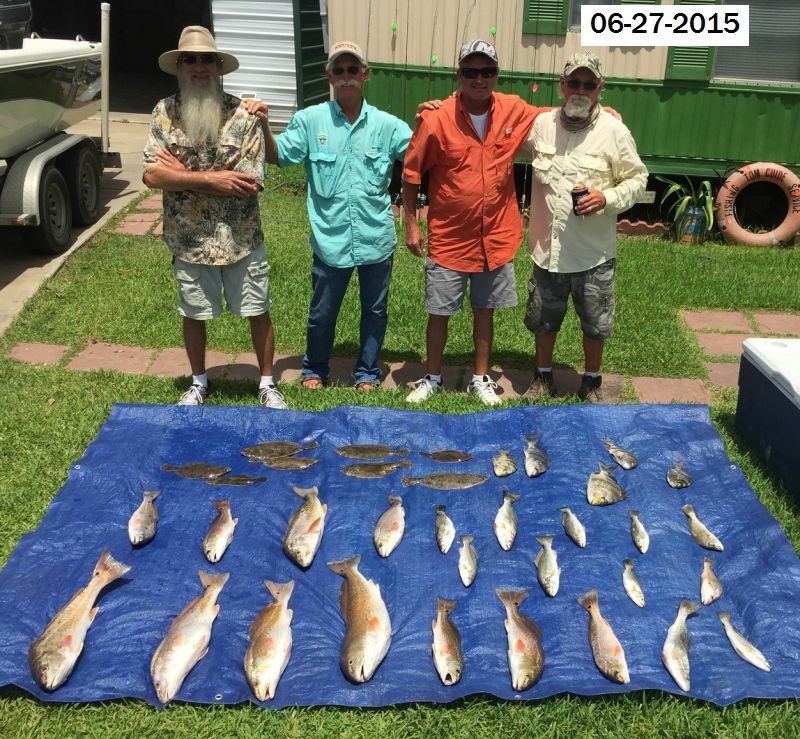 June 26, 2015 Incredible Slams All Around for This Crew (Tommy, Robert, Roger & Dean(The Fishing Machine!!! )All the way from Del Rio Tx. To Have a Great Trip on Lake Calcasieu!!! 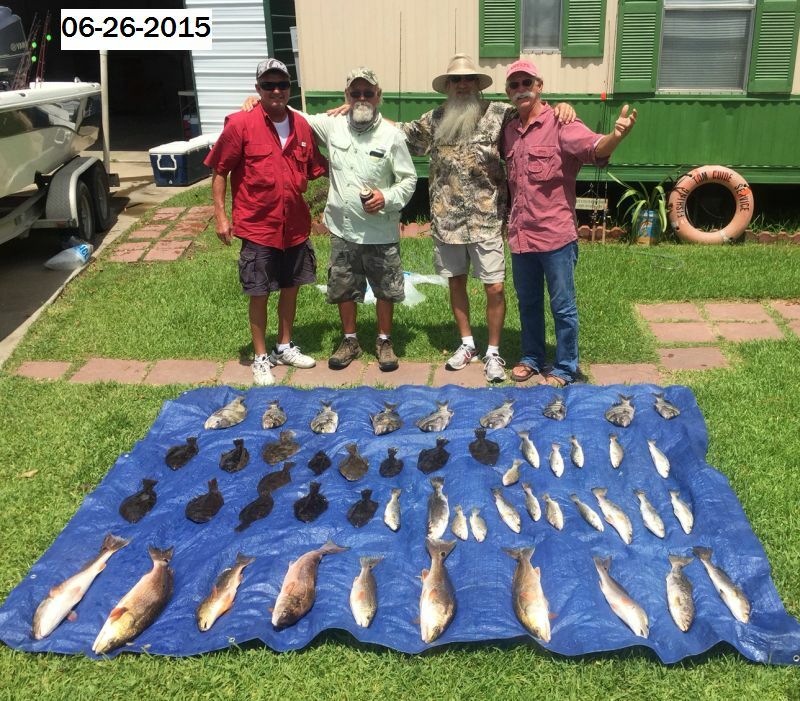 June 25, 2015 Oscar C. & Friends Have a Great Day on Lake Calcasieu With Captain Tommy!!! 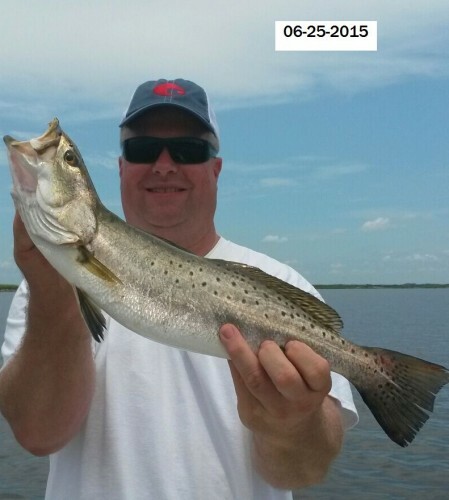 June 25, 2015 Oscar C. & Friends, Oscar and Mike, Have a Great Day on Lake Calcasieu With Captain Tommy! !